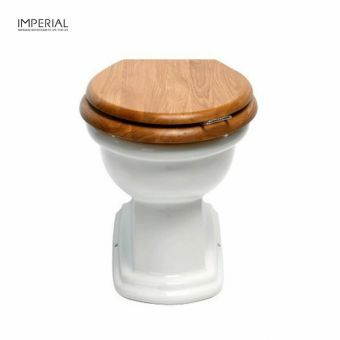 Imperial have a formidable reputation that precedes them, and rightly so. 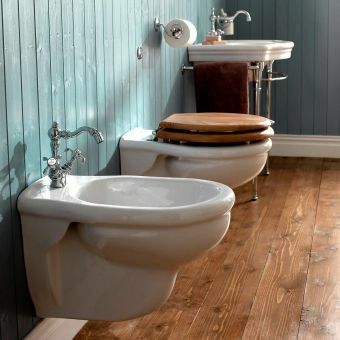 With every attention to detail, their range of traditionally styled bathroom ware is one that successfully recreates the classic look of the Edwardian interior. 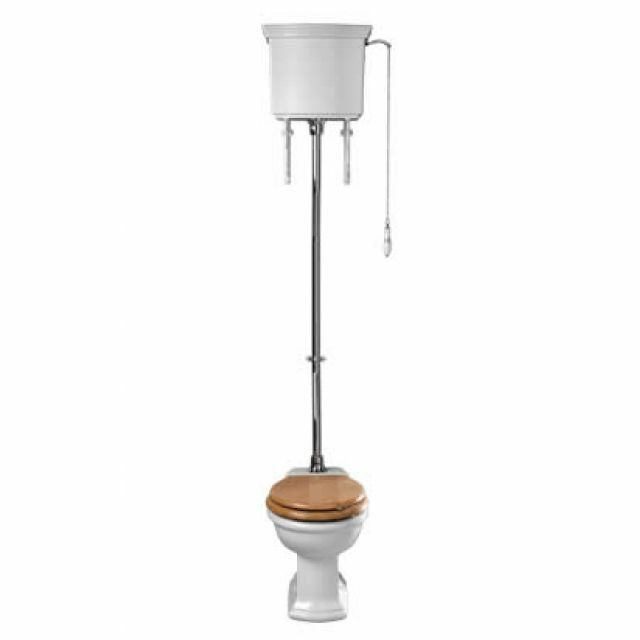 Arranged into the classic high cistern format, this piece makes an immediate statement within the bathroom space. 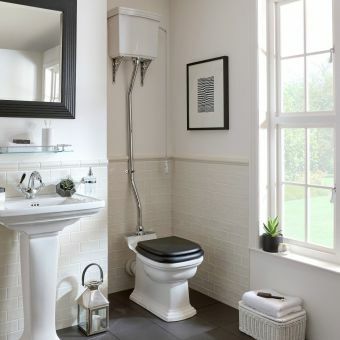 With its impressive vertical aspect and exposed pipe work, it makes for a natural fit within the interior that embraces the traditional look. 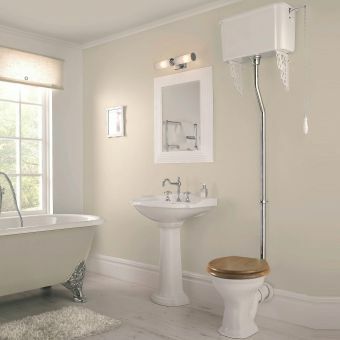 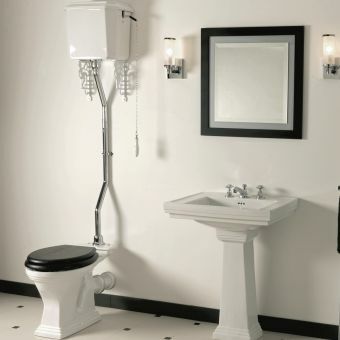 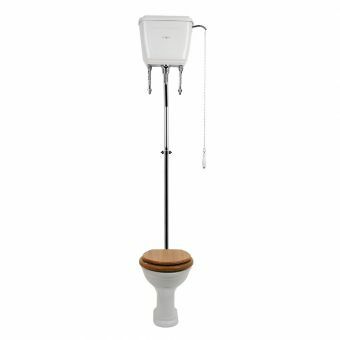 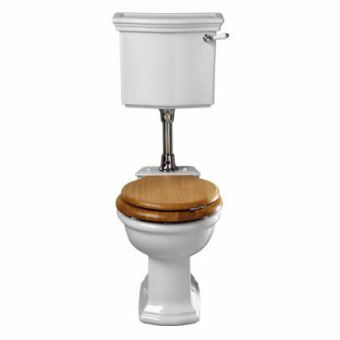 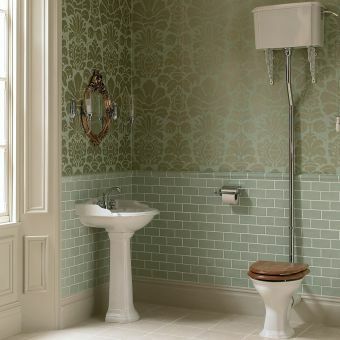 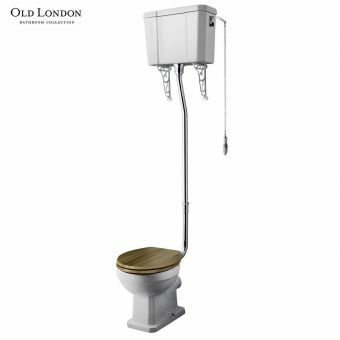 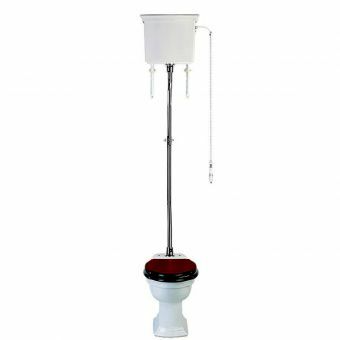 Mounted onto ornate brackets, the cistern is operated via a manual flush chain, fitted with a white ceramic handle. 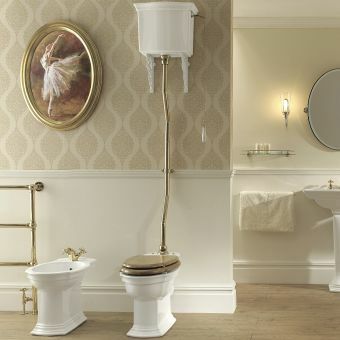 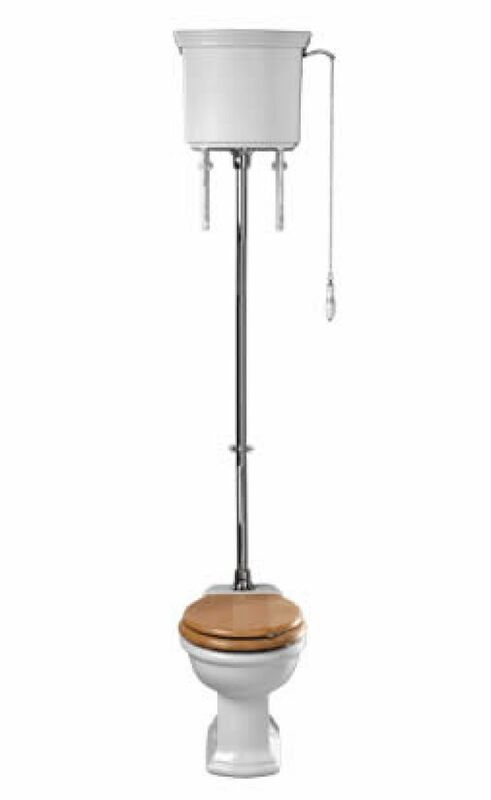 Available with chrome, nickel or antique gold fittings, this set coordinates naturally with other items in the Imperial Bergier range. 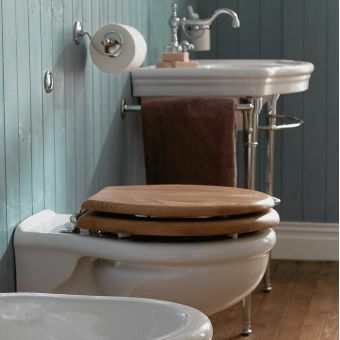 Please see our range of compatible toilet seats for a matching lid. 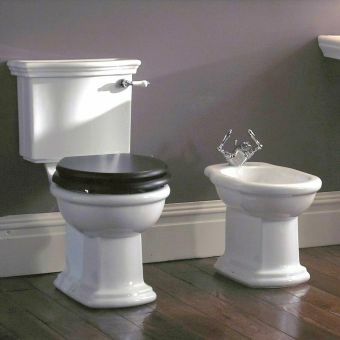 Seat is not included in price, photo is for illustrative purposes only.